that seemed to take a random course throughout the night. We were in LA last week for my family's Christmas party and Ian wanted us to slip out while the kids were sleeping for some "us" time. His idea? 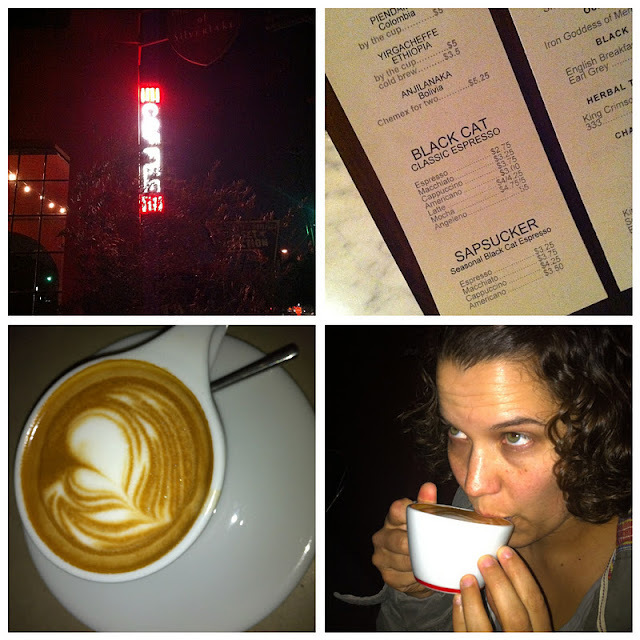 Hit up a trendy coffee shop just up the street from my parent's house. This wasn't our first time at this place, but it was our first time being there when it wasn't super busy. Because of this, I was able to snoop around at some of the crazy coffee accessories they sell. Really expensive machines and stuff from other countries. Coffee dorks like me think looking at that kind of stuff is fun. While sitting there talking (our coffee had been quickly gulped up) I couldn't help but think about food. Instantly my mind went to a taco truck that my parents introduced us to a while back. I suggested it to Ian and away we went. 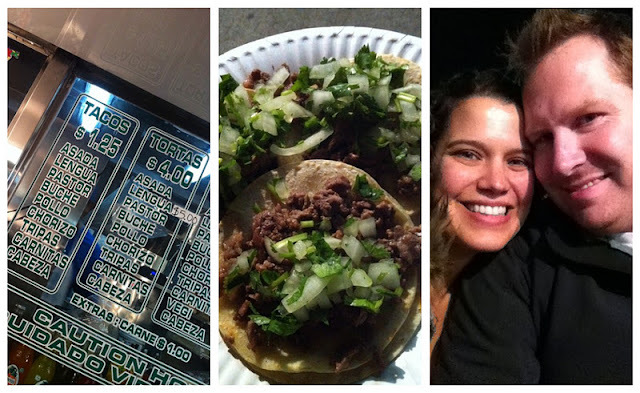 We ordered our tacos and sat down on milk crates (fun, right?!?) to wait for our food. Just then (at 10:45pm) Ian's phone rang. There was drama with someone claiming our tenants (we own a townhouse in Pasadena) were having a party. Because we were nearby and we wanted to see about this "party" ourselves, we ate our tacos, jumped in the car and headed to Pasadena. When we got there, there was no party to be had. Kind of what I expected. I personally think our HOA picks on our tenants, but that is a whole other story. So, we headed back to my parents. Our babies were sound asleep. Of course, one woke up as soon as we got home...she wanted her mama! It was a fun, albeit random, night. But that's just the way I like it. mmmm tacos and coffee. sounds delish!